The impressive neo-renaissance Reichstag building, located in Berlin, was completed in 1894 and is today the seat of the German government. 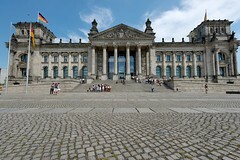 It was designed by architect Paul Wallot to be the house of the first German Parliament and remained in use until 1933. It was here in 1918 that the German Republic was announced and since then it has been host to many key political historical events. Unfortunately, in 1933, it is thought that a disgruntled Dutch communist deliberately set the building on fire, though there is still a lot of controversy surrounding the actual series of events. Many thought the fire had been deliberately started by the Nazis in order to bolster public support and give more power to Adolf Hitler's National Socialist Party. As a result, the Reichstag was extensively damaged. Further damage was caused during World War II and also when the Soviets entered Berlin. It remained largely in a state of disrepair until after Germany's reunification in 1999, though some restoration work had been carried out in the early 1960s. In the final restoration, only the outer walls were left intact and the interior was completely gutted. In place of the original cupola, a massive metal and glass dome was constructed on top of the building, giving panoramic views of the city. 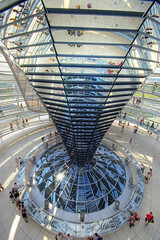 In the center of the dome is a mirrored solar funnel. The dome covers the main hall with natural light flooding into the room. 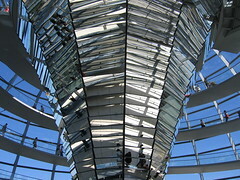 Special sensors in the dome prevent direct rays of sunlight entering the building and blinding those below. 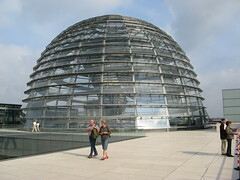 Visitors are allowed to visit the dome at any time, making it a very popular tourist attraction and, as a result, the queues can be very long. 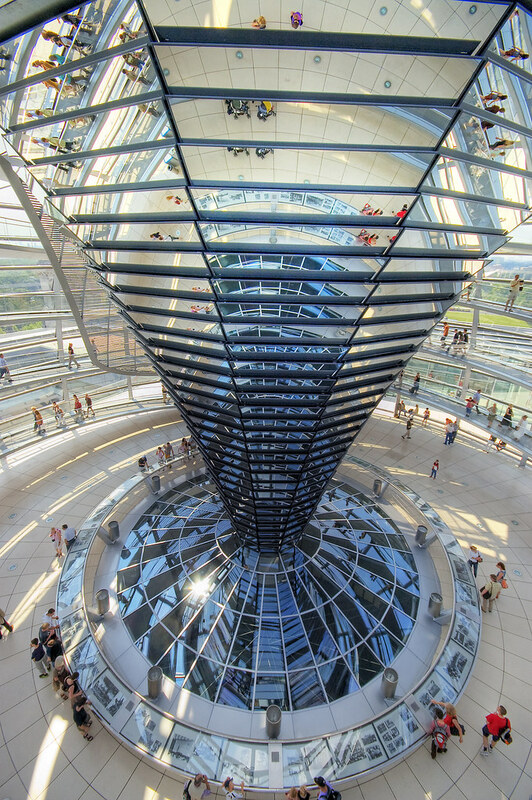 The Reichstag building is now the seat of the modern lower German parliament, Bundestag. It is possible during week days to see live Parliamentary sessions. The room where Parliament sits is below the dome and is surrounded by glass, making it visible to the public on all sides. There is a magnificent engraved eagle suspended over the main floor. 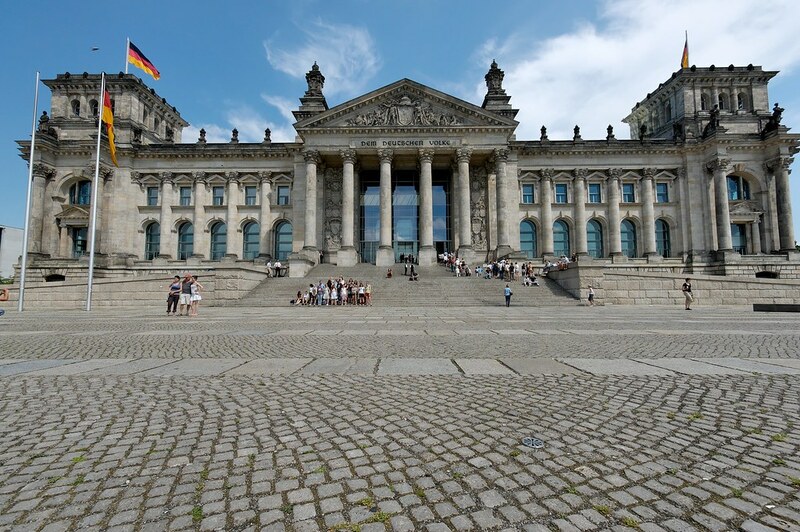 The Reichstag is one of Berlin's most striking, historical landmarks and is certainly worth a visit. 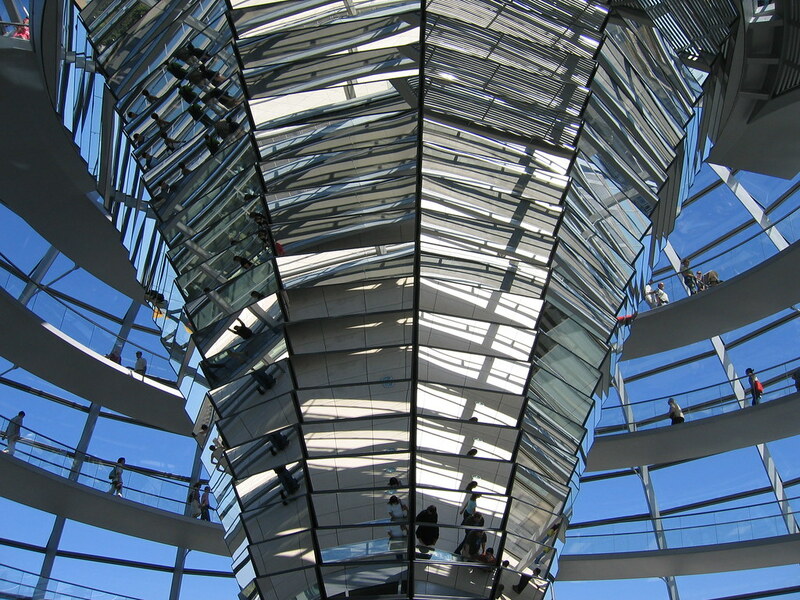 Have you already visited the Reichstag? If so, let everyone know what you thought about it by writing a review! No registration necessary. Just click here to start writing!